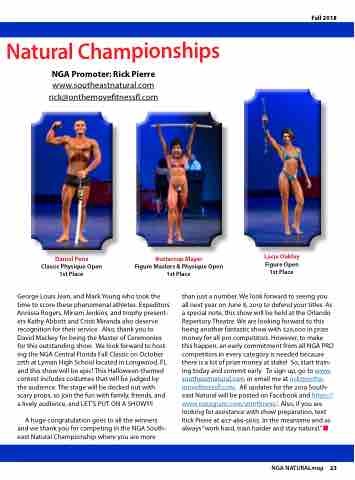 also deserve recognition for for their service Also thank you to David Mackey for for for for being the the Master of Ceremonies for for for this outstanding show We look forward to to host- ing ing the NGA Central Florida Fall Classic on on October 27th at at Lyman High School located in in Longwood FL and this show will will be be epic! This Halloween-themed contest includes costumes that will will will be be be judged by the the audience The stage will will be be decked out with with scary props so join the the fun with with family friends and and a a a a a lively audience and LET’S PUT ON A SHOW!!! !